In the first of a three-part series, lawyer Edmund Lam gave an introduction to white-collar crime and shared examples of money laundering and signing of false certificates. He also shared about the criminal breach of trust, corporate and securities fraud in the second article. In the last part of this series, Edmund provides illustrations on insider trading, corruption and bribery, multi-jurisdictional jeopardy & resolution and deferred prosecution agreements. In 2008, a voluntary general offer (“VGO”) for the shares in Jade Technologies Holdings Ltd (“Jade”) was launched by Soh’s investment vehicle, APLL. At the material time, Soh was a director and the sole shareholder of APLL as well as a director and Group President of Jade. Overseas-Chinese Banking Corporation (“OCBC”) was appointed APLL’s financial adviser for the purpose of the VGO. During the VGO period, Soh traded in a substantial number of Jade shares without informing Jade and the Singapore Exchange Ltd (“the SGX”). By secretly offloading a large chunk of his shares and offering to buy up shares belonging to other shareholders at the same time, he profited handsomely at the expense of public investors due to an anticipated inflation in the share price after the VGO was announced. Concurrently, Soh caused OCBC to be provided with fictitious banking documents which purported to confirm that funds were available to satisfy APLL’s obligations under the VGO. Subsequently, Soh authorised the furnishing of a letter to the Securities Industry Council (“the SIC”) stating that he had given instructions for a bank to send two banker’s guarantees for a total of US$200 million to OCBC. The VGO was eventually withdrawn with the consent of the SIC after APLL failed to provide sufficient proof that it had the financial resources to complete the VGO. Separately, on an occasion prior to the launch of the VGO, Soh falsely informed Jade’s company secretary that he had purchased 5,500,000 shares and the latter proceeded to file a requisite notification to the SGX. For this entire fiasco, Soh was charged and convicted of 39 offences under the Securities and Futures Act (Cap 289, 2006 Rev Ed) (“SFA”) and the Companies Act (Cap 50, 2006 Rev Ed) (“CA”) for insider trading (section 218(2)(b) SFA), authorising the furnishing of a false report to the SGX (section 330(1)(a) SFA), failing to notify Jade about share purchases or sales (section 165(1)(b) CA), failing to notify the SGX about share purchases or sales (section 166(1) CA), making a take-over offer without having reasonable grounds to believe that he or APLL had sufficient financial resources to implement that take-over (section 140(2) SFA), creating a false or misleading appearance as to Jade’s share price (section 197(1)(b) SFA), and authorising the furnishing of a false report to the SIC (section 330(2) SFA). On appeal, he was ordered to be imprisoned for an aggregate of 11 years (from 8 years and 9 months) and fined a total of $50,000. “Heard CAD raided Datacraft office last Friday again.”. “I know what I am talking.”. Less than an hour later, Wang bought 111,000 Datacraft shares to cover his earlier naked shorts, making a gross profit of US$2,830. Datacraft publicly announced that the rumours relating to the alleged raid were totally unfounded at about 12.36pm. Over the course of that afternoon, Wang bought and subsequently sold 400,000 Datacraft shares, resulting in a gross loss of US$12,000. He was initially acquitted at trial but, on appeal, he was convicted of a charge under section 199(b)(i) of the Securities and Futures Act (Cap 289, 2006 Rev Ed) for disseminating, on an online forum, information that was false in material particulars and likely to induce the sale of shares in Datacraft, without caring whether this information was true or false. Lessons – Watch what you say in both the physical and virtual realms, and in this case, particularly for assertions that may affect the prices of securities. Some things can be unclear. This can be seen from his acquittal at his trial but conviction on appeal when the appellate judge took a different view. In essence, his undoing was the embellishment of a speculative rumour by (re)asserting factually that a raid by a commercial crimes law enforcement agency had taken place. He had the opportunity to qualify or clarify on his first assertion when prompted by another member of the forum but wrongly chose to reaffirm his earlier assertions. Propagating fake news can be bad news for the perpetrator especially when they are self-serving in the stock market. The most obvious and clearest answer, of course, is to stay clear from white-collar crime. Criminal law is best learnt from the lessons of others and not from one’s own mistake. However, more than lip service will be needed by companies and individuals in “at risk” industries and roles respectively to stay away from the dangerous cliff edge. For organisations, staying within the out-of-bounds markers requires the sustained use of resources to implement and maintain effective proactive risk management (prevention, detection and mitigation) programmes (e.g. audits, compliance training, review of reward and control systems and whistleblower hotlines). These can help to reduce the likelihood of your organisation becoming a victim of white-collar too. For individuals, it seems all too easy to get sucked into the web and become complicit in the illegal acts of others. It gets even more complicated when it is the senior management that is encouraging or even just tacitly allowing unlawful conduct to spread pervasively within the organisation to keep the top and bottom lines up or to achieve certain objectives. Do you hold ranks with them or squeal on them? Is there any benefit in becoming a whistleblower if you are already tainted? Making these decisions are tall orders especially when the law is clear that hiding behind senior management to avoid criminal responsibility is as (in)effective as an ostrich heading its head in the sand to avoid predators. Another equally obvious but more complicated question would be how not to fall foul of the law. Many a time, things that smell really bad to the moral conscience are also most likely, wrongful under the law. However, this smell test will be more challenging for complex transactions, overseas markets and new (and, hopefully, disruptive) business models where many things are neither certain nor intuitive. When all of these get over your head, it is time to get good counsel who knows the law or a great counsel who can help you and your organisation with practical measures to observe the law and, when things, unfortunately, head south, in navigating towards achieving the best possible outcome. If you need legal advice, you can get a Quick Consult with Edmund Lam or other lawyers. With Quick Consult, you can check out in minutes and for a transparent, flat fee, the lawyers will call you back on the phone within 1-2 days to answer your questions and give you legal advice. This article is written by Edmund Lam from LHM Law Corporation and edited by Leanne Cheng from Asia Law Network. 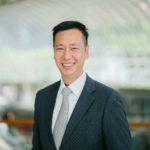 Edmund was admitted to the Roll of Advocates and Solicitors, Singapore, in 1999 and brings with him specialised legal, and diverse industry and business experience. Prior to founding his own law practice, Edmund had served for 8 years in the Singapore Legal Service ("Legal Service") as Deputy Public Prosecutor and Deputy Senior State Counsel in the Attorney General's Chambers before being posted to the Competition Commission of Singapore ("CCS") as 2 Deputy Director in the Legal & Enforcement Division. His last posting was to the Ministry of Defence, Legal Services Department, where he was appointed Military Prosecutor and Head, Legal Counsel. At CCS, he led different teams to assess cases, complaints, leniency applications, notifications and filings relating to anti-competitive agreements, abuse of dominance and mergers, to conduct unannounced inspections and interviews, and to provide competition advisories to other public agencies. Edmund participated in the senior management meetings at CCS, acted as CCS's legal representative for an appeal to the Competition Appeal Board, and took part in various market studies. His matters covered numerous industries including amongst others infant formula milk, automotive, oil & gas, electrical equipment, specialised and general services, construction, bunkering, insurance, airline and hospitality. He also has experience in conducting criminal appeals and prosecutions relating to corruption, commercial fraud, homicide, sexual, road traffic and public disorder offences, proceedings before the Military Court Martial, and Coroner inquiries into deaths relating to medical care, suicide and accidents. Edmund had previously practised shipping, litigation and corporate law during his time in Khattar Wong & Partners, Joseph Tan Jude Benny and CitiLegal LLC. Thereafter for the next 8 years, he held various global and regional in-house counsel roles in the investment holding, precision engineering, manufacturing, aerospace, medical devices, mobility and hospitality industries at multi-national companies; Singapore Technologies/ Accuron Technologies, Michelin and InterContinental Hotels Group. As an in-house counsel, he was involved in a wide range of legal matters in multiple jurisdictions including competition compliance, mergers and acquisitions, hotel management, product liability, corporate law and commercial law. He had also carried out internal corporate investigations, audits, due diligence exercises and trainings. Being one of the founders of the One Rochester Group in the food and beverage industry, Edmund was a director on its Board of Directors during the time before he joined the Legal Service.